This September, the US announced that it will be accepting up to 10,000 refugees over the coming year. While this is definitely an improvement on the 1,573 refugees we admitted into the US last year, this number pales in comparison to the 800,000 refugees Germany will be accepting in the next year. Aid organizations all over the United States have difficulty making international crises seem relevant to Americans. We can provide temporary shock therapy by showing pictures of dead babies on a Turkish beach to otherwise complacent Americans, but that shock value tends to fade quickly. Because we admit such low numbers of refugees, most people don’t have exposure to what recent refugees are going through on a day to day basis unless they seek it out in the media. Google has even tried rickrolling users as a way of promoting awareness about the suffering of refugees. It would seem that members of Congress tend to fall victim to the same sense of apathy. The most optimistic news is that Illinois Senator Richard Durbin (D) has formed a coalition of 14 Democrats asking Obama to admit up to 75,000 refugees in the coming year, which would still be a miniscule number compared to the numbers Germany and Greece are accepting. Even this small initiative is unlikely to make it through Congress, however. Over 4 million Syrian refugees are currently seeking asylum, with approximately 3.3 million seeking refuge in Syria’s neighboring countries, and many of the rest going North to Europe. 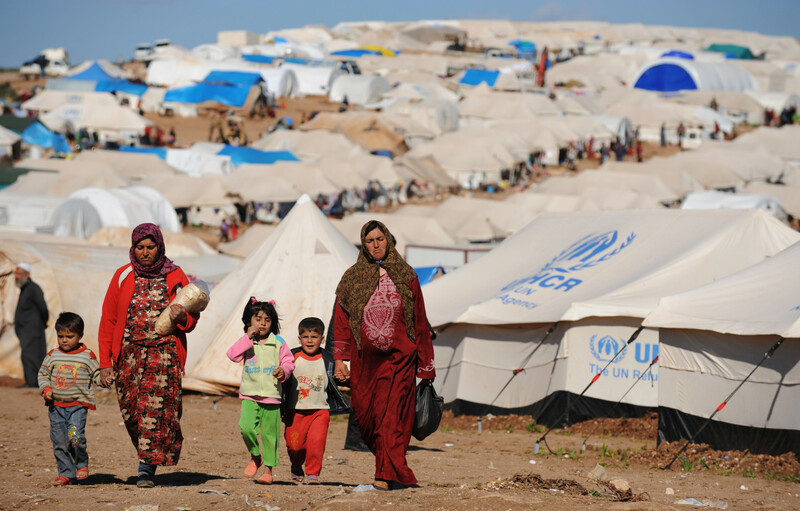 Even within Syria, 6.5 million more are displaced persons looking for homes. It is very easy for such vast numbers to obscure the actual human toll taking place in such distant places in the world. The fact that we term this the Syrian or the European refugee crisis implicitly makes it seem as if this refugee crisis is not “our” problem. But we appreciate Swarthmore international student group i20’s referral to the crisis as a “Global Refugee Crisis,” because that is exactly what it is. As residents of a global superpower an ocean away, we have the privilege of thinking of these cases as remote statistics. But as informed humans, we have the obligation not to shy away from the issue. We are obliged to seek out their stories and try to help as best we can. Ten years ago, Swarthmore students Andrew Sniderman ‘07, Sam Bell ‘05, and Mark Hanis ‘04 tried to buy a drone through the Genocide Intervention Network and began to try to stop the genocide in Darfur. What are we socially conscious Swatties doing now in the face of extreme suffering? While we are not asking anyone to begin an organization to stop the violence in Syria, we are asking the Swarthmore community to consider donating. The vast majority of aid flowing to the refugees is not coming from governments, but rather from individuals and relief organizations: people like us. Donating may not seem like a big deal, but it is the equivalent of handing a child dying of dehydration a bottle of water: if they were standing in front of you, it would seem cruel not to do so. The fact that there is an ocean between Swarthmore and Syria does not mean we cannot do our part to try to help hundreds of thousands of displaced peoples. Featured image courtesy of www.huffingtonpost.com. The US usually admits around 70,000 refugees per year. This figure of 10,000 only refers to Syrian refugees, not all refugees coming to the US next year.